Since 1936, Cla-Val has produced the world’s highest quality automatic control valves. Cla-Val continues to maintain this level of excellence because of its dynamic combination of engineering expertise, craftsmanship, quality materials, sophisticated manufacturing processes and superior customer service. This holistic approach to quality control is why Cla-Val is recognized across the nation and around the world. Through over 70 years of industry experience, Cla-Val has worked with a broad variety of applications—from fire protection to farm irrigation. Aggressive research and development programs have allowed Cla-Val to tap into this deep reserve of experience, and continually produce cutting-edge solutions to today’s increasingly diverse applications. 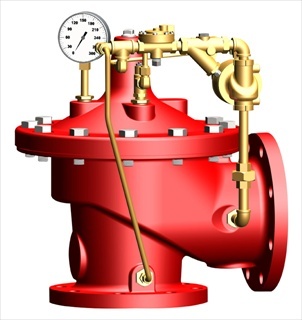 U.L., U.L.C., and MEA Approved fire protection pressure reducing valves, now with grooved connections! >> Visit Cla-Val on the Web!